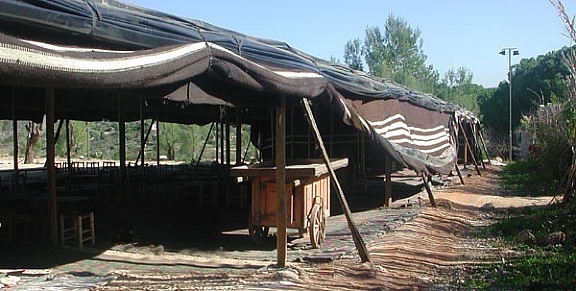 An authentic biblical tent made of hand-woven goat hair in the style of those used by desert dwellers for millennia. 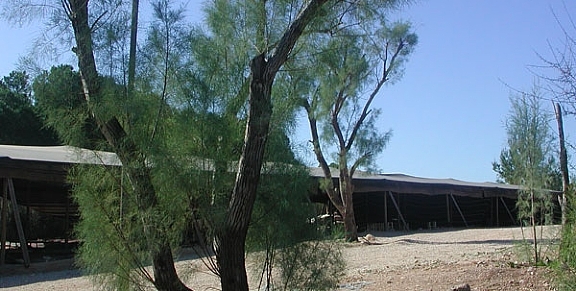 Outside is a large yard of tamarisk trees, like those planted by Abraham, to provide shade for his guests. What is available in the tent? Shanti style hosting on floor mats, ‘shepherds’ light snack, or regular seating full biblical meals, lectures and workshops. This authentic setting for biblical-style hospitality is suitable any time ,rain or shine, and has lighting for evening events. Abrahams tent can seat up to 400 people with partitions available for smaller groups.